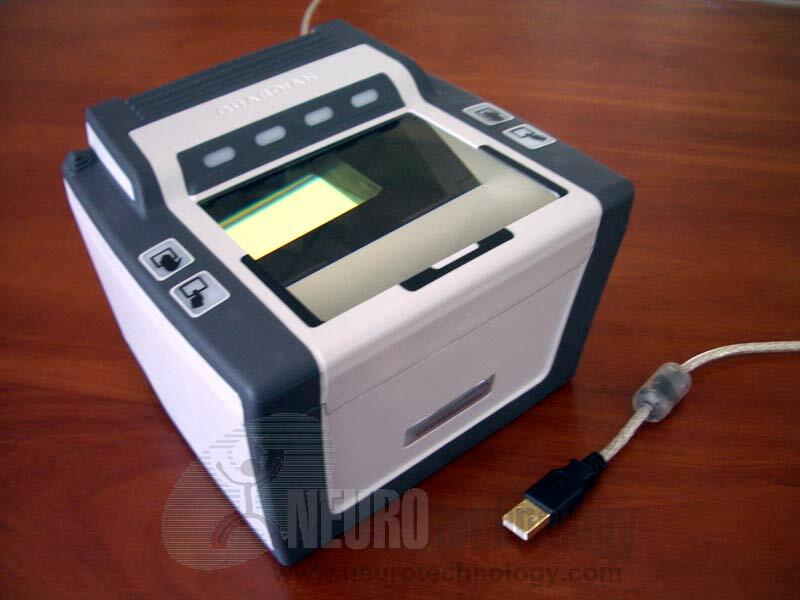 The Cross Match Guardian USB and FW are part of optical fingerprint scanners family intended for fast capture of all 10 fingerprints. The scanners are certified by FBI for both civil ID flats and full criminal ten-print flats. Scanners image quality complies with FBI's IAFIS Appendix F specification. Scanner's manufacturer specifies that scanner's case is rugged to provide high tolerance for shock and vibration. The platen is heatened to eliminate condensation and halo effect. The scanner includes easy to understand pictograms, fully automatic image capture and instant quality check feedback to the user using LEDs. Support modules for these scanners are included in MegaMatcher 11.1 SDK, MegaMatcher On Card 11.1 SDK, VeriFinger 11.1 SDK and Free Fingerprint Verification SDK. Note that FFV SDK will allow to capture only single fingerprints using the scanner, as it does not include fingerprint segmentation components.